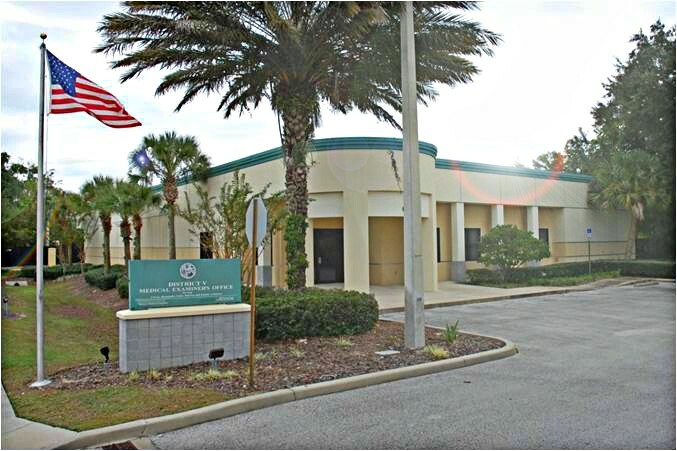 The Districts 5 & 24 Medical Examiner’s Office serves the people of six counties in Central Florida. District 5, which mirrors the Fifth Judicial Circuit, includes Citrus, Hernando, Lake, Marion, Seminole, and Sumter Counties. The District covers approximately 4,700 sq. miles in Central Florida and has a population of approximately 1,090,000 people. District 24 encompasses Seminole County, part of the 18th Judicial Circuit, has an additional population of approximately 460,000. The Office is comprised of a staff of board-certified forensic pathologists, medicolegal death investigators, forensic autopsy technicians, an experienced forensic records coordinator and an in-house transport staff, as well as administrative and other support staff. 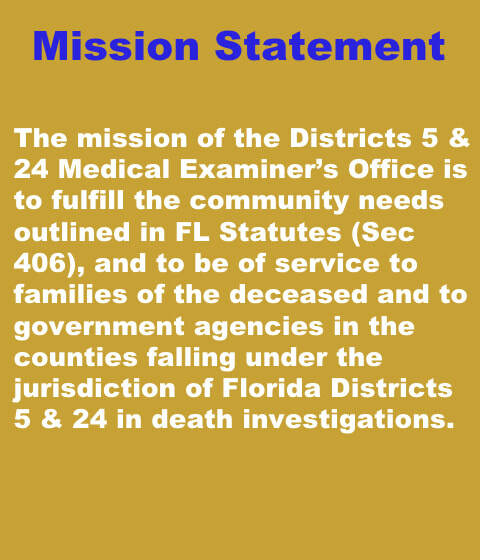 Florida's District Medical Examiners are appointed by the Governor based upon recommendations of the Florida Medical Examiner Commission. District Medical Examiners serve at the pleasure of the Governor and are appointed for three year terms. District Medical Examiners may be appointed to additional, consecutive terms. A medical examiner is a physician trained in the specialty of forensic pathology. 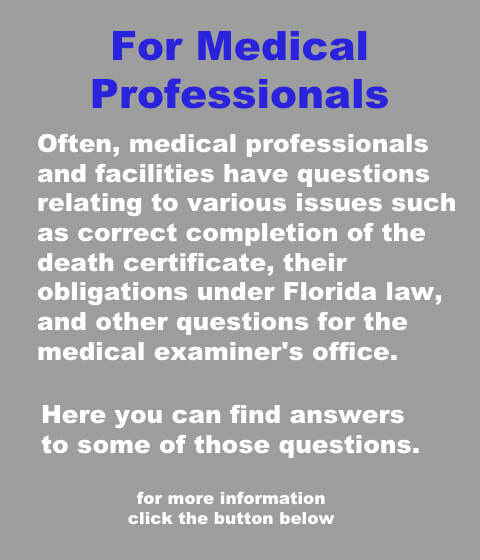 It is the Medical Examiner's duty to determine the cause and manner of death in those cases in which the Medical Examiner's Office accepts jurisdiction. The District 5 & 24 Medical Examiner's Office is fully accredited by the National Association of Medical Examiners (N.A.M.E.). 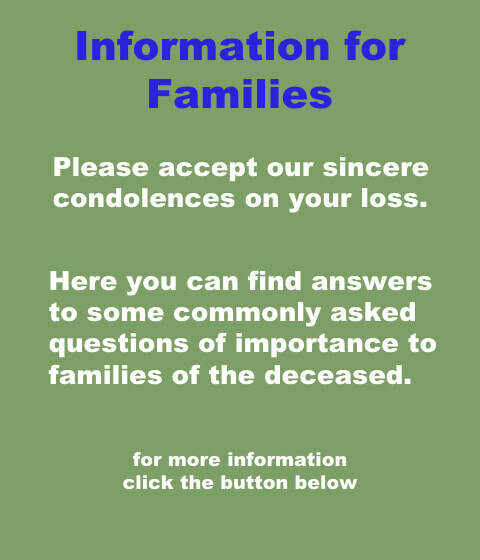 Every staff member at the Medical Examiner's Office takes, as a paramount obligation, the compassionate treatment of those coming under our care, as well as their families and survivors.